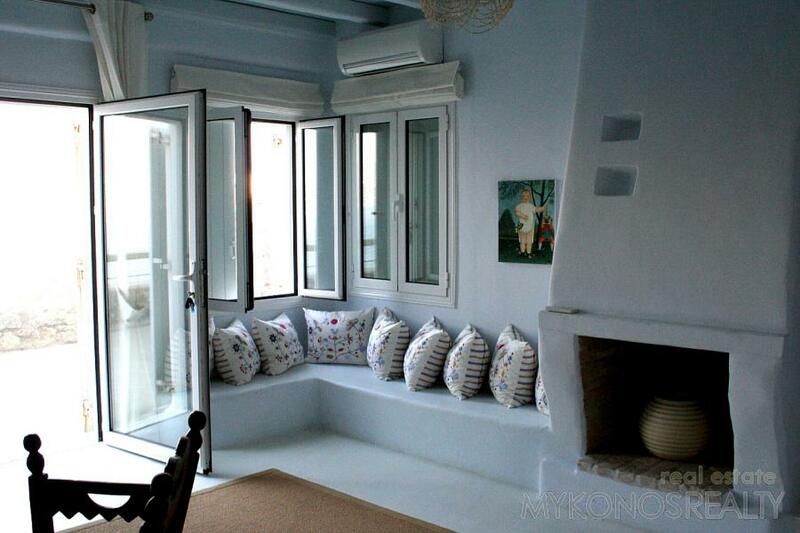 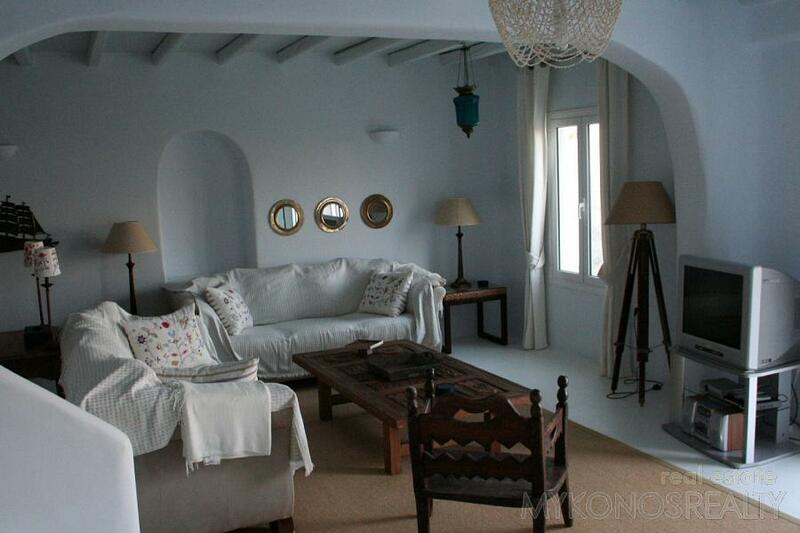 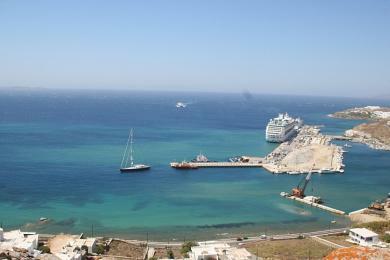 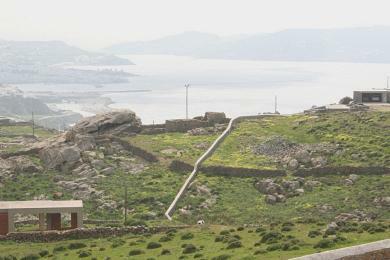 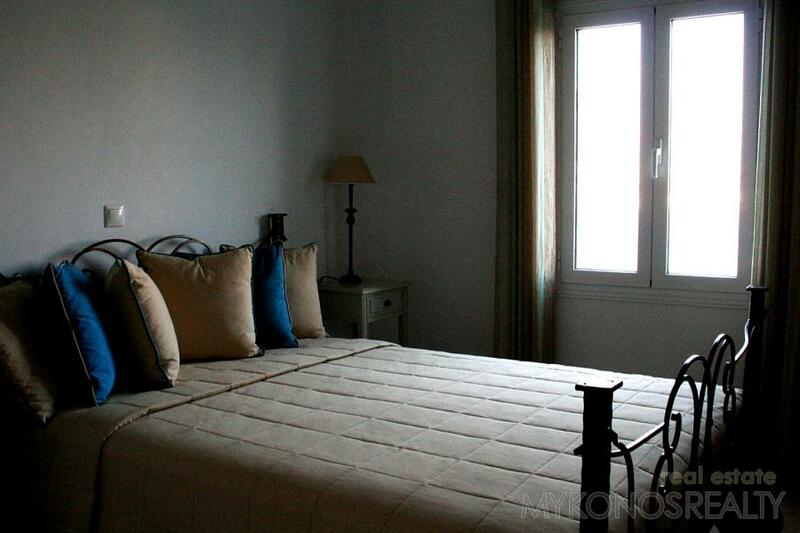 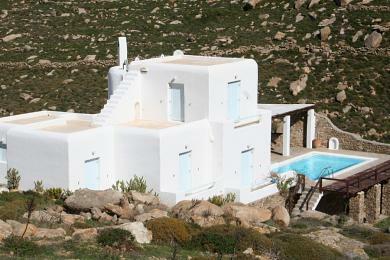 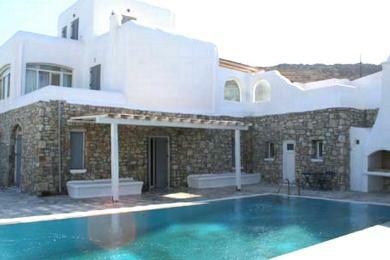 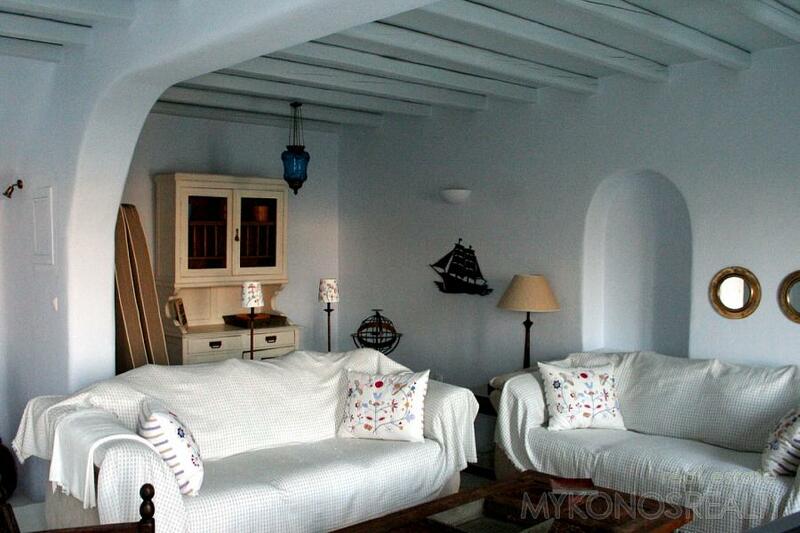 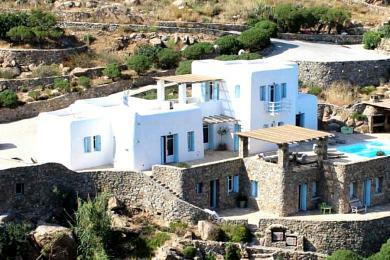 Kanalia, Villa 200sq.m built in two levels, fully furnished and equipped. 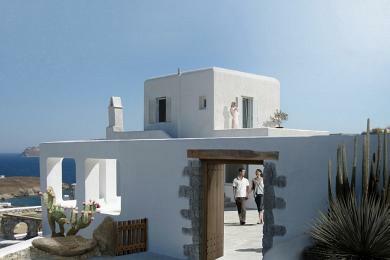 The ground floor consists of a living room with fire place, dining room / kitchen, WC and a bedroom with bathroom. 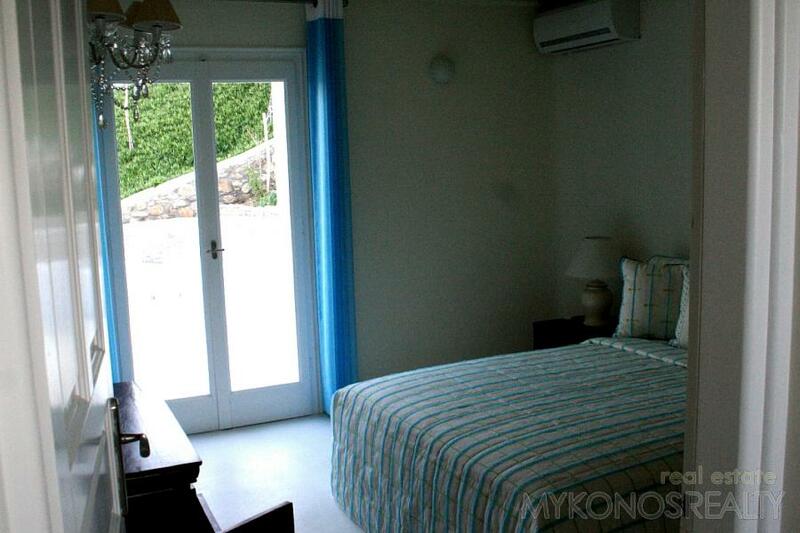 On the 1st floor there are 4 bedrooms, two of them with their bathrooms and the other two sharing one bathroom. 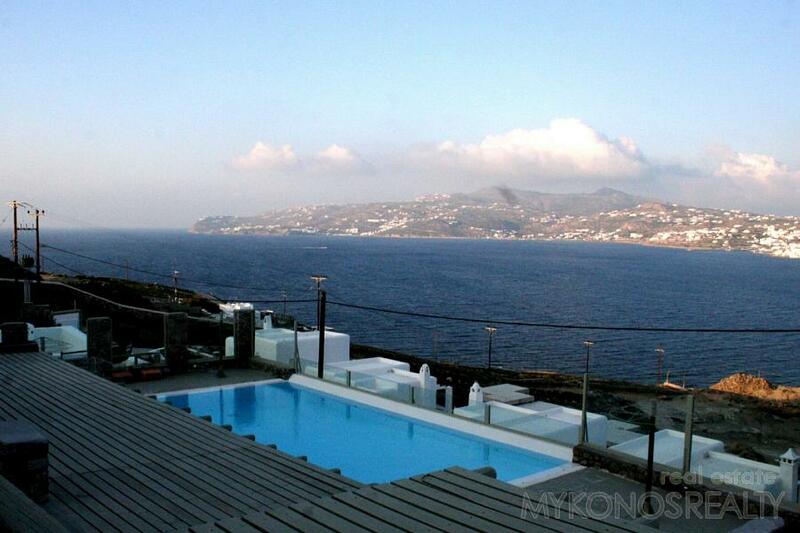 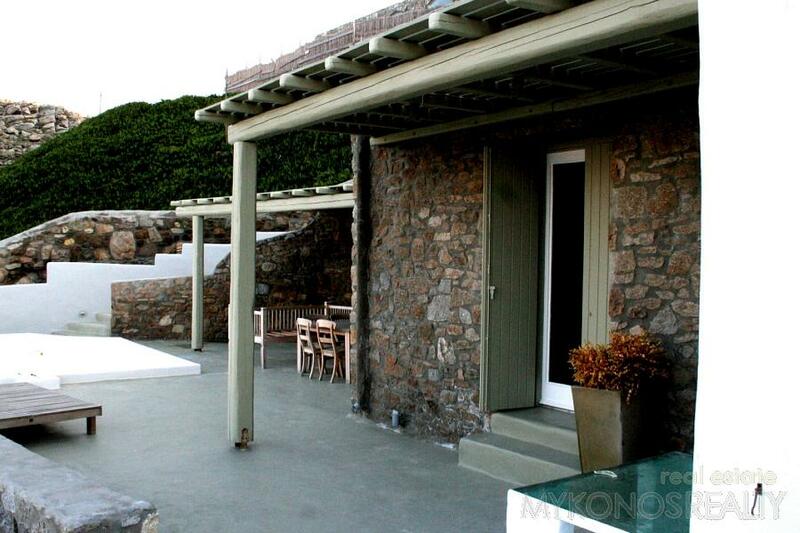 Big verandahs with pergoles, panoramic view to the Aegean Sea, the town of Mykonos the Old and the New Ports, and the marvelous and magic sunset.